The functional-emotional nature of these charities reflects the different unmet needs, attitudes and beliefs of the three Maslow Groups. 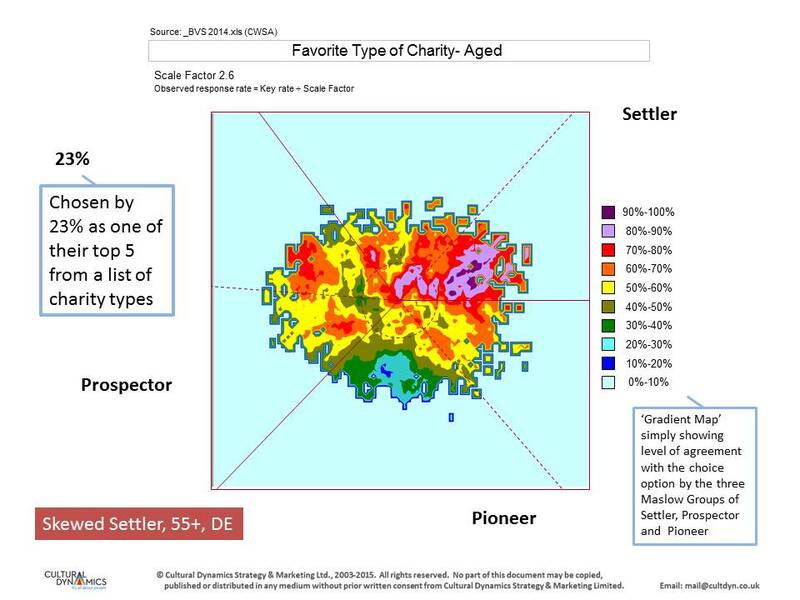 Settler favourite types are very much about survival, safety and security. Their primary scope is very much kith and kin, our people. 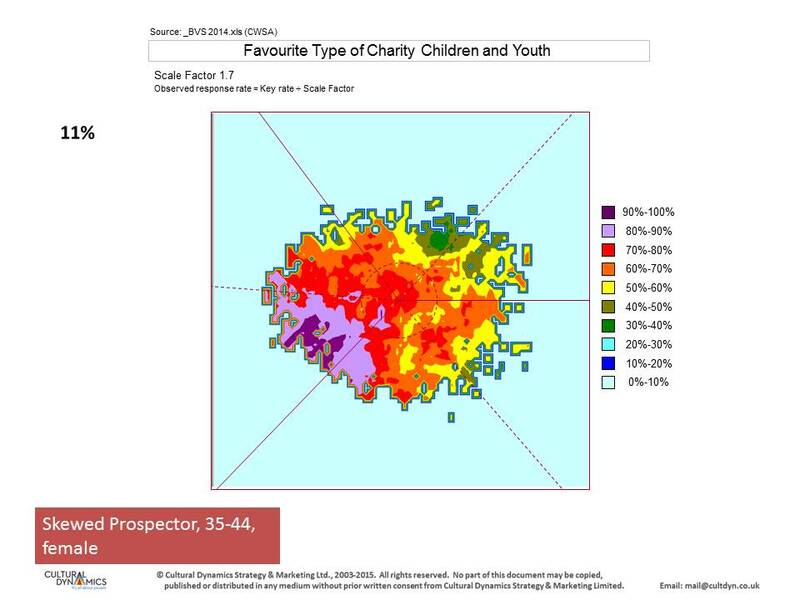 The Prospector charities are more consistent with enabling success in life, potentially getting something back for yourself or your children, and becoming less Settler and more Pioneer as you move towards the Pioneers. 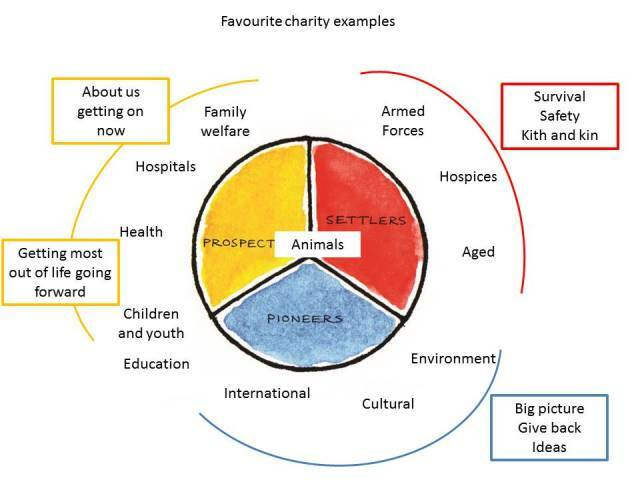 The Pioneer charities are ones that require or enable ‘giving back’, and are ‘big picture’ consistent with the importance to Pioneers of universalism. 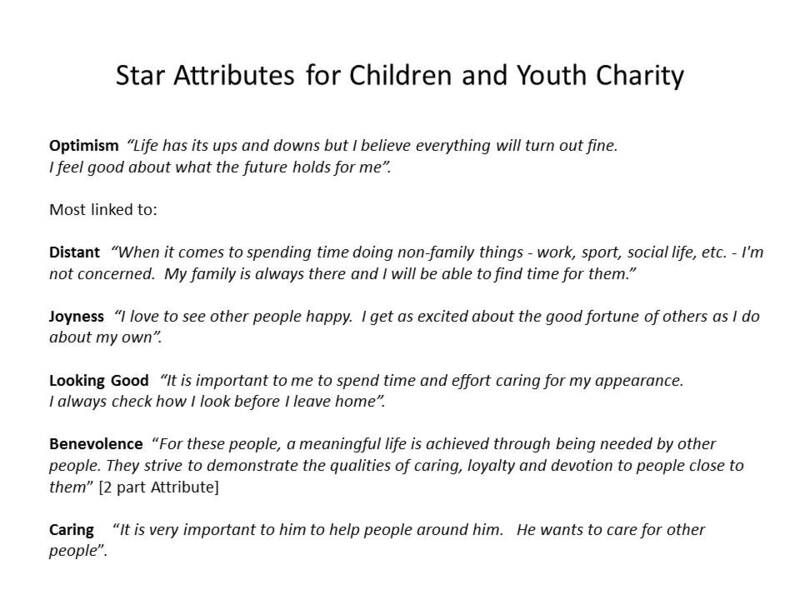 Analysis drawn from the 2014 British Values Survey by CDSM reveals that choices of ‘favourite charity types’ reflect strong preferences based on unconscious motivational needs. 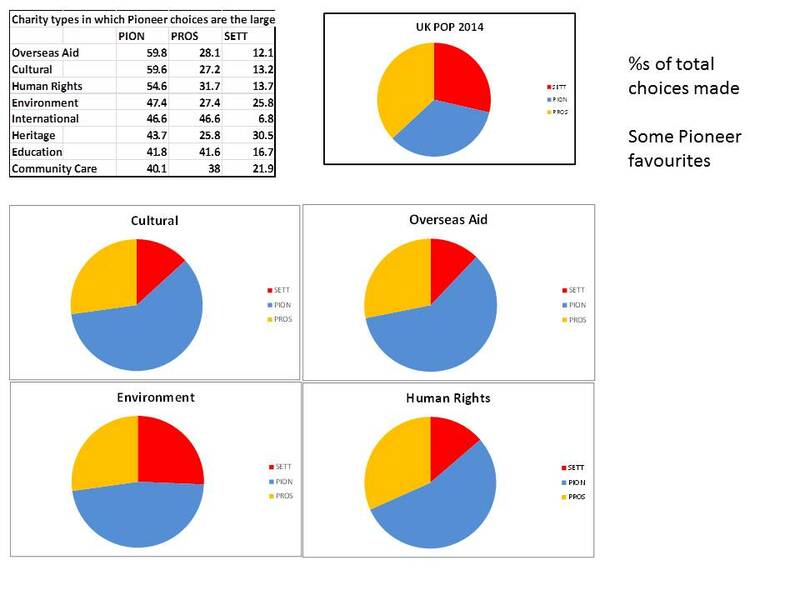 A nationally representative sample chose their ‘top five’ charity types from a list. 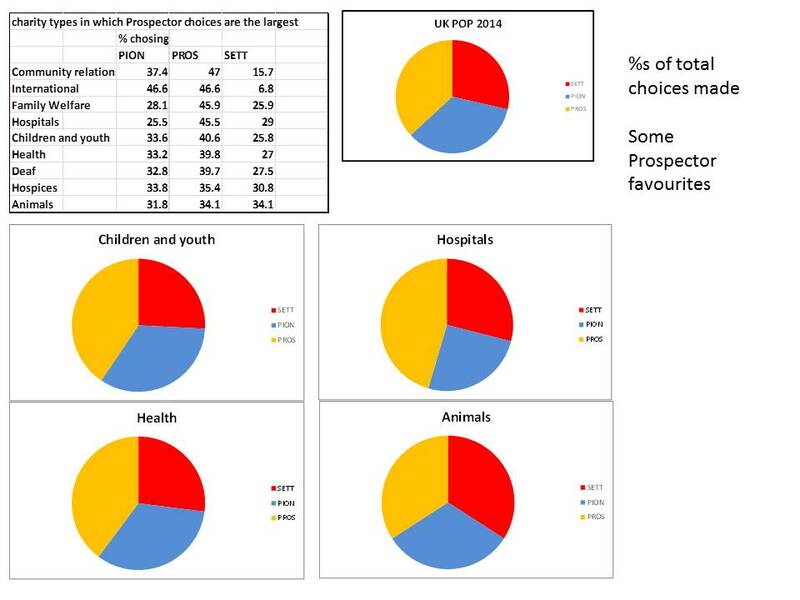 The most popular charity type in the UK is ‘animal charities’ (no surprise there) which has such broad appeal that it is effectively cross-values. 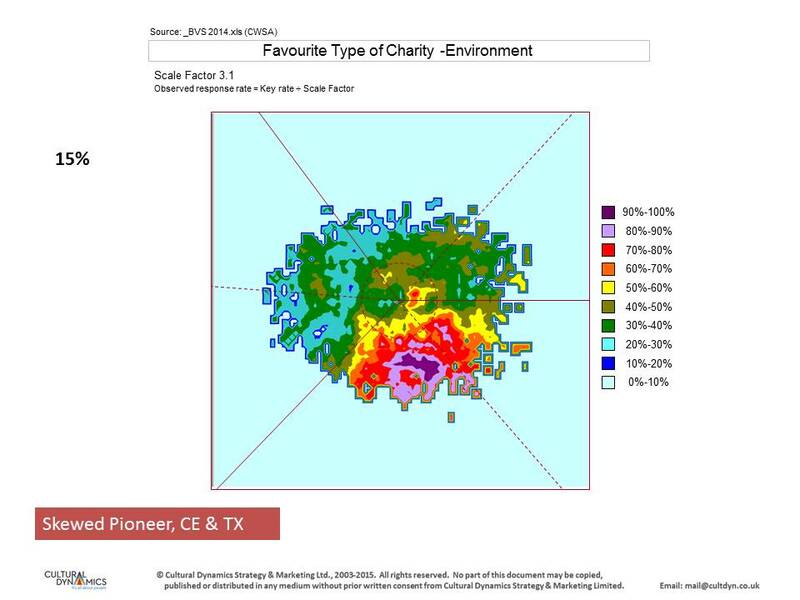 However most charity types show much distinct values profiles, for instance environment and human rights are strongly Pioneer reflecting values such as Nature and Universalism. These are essentially give-back rather than get-back and pro-change charity types. 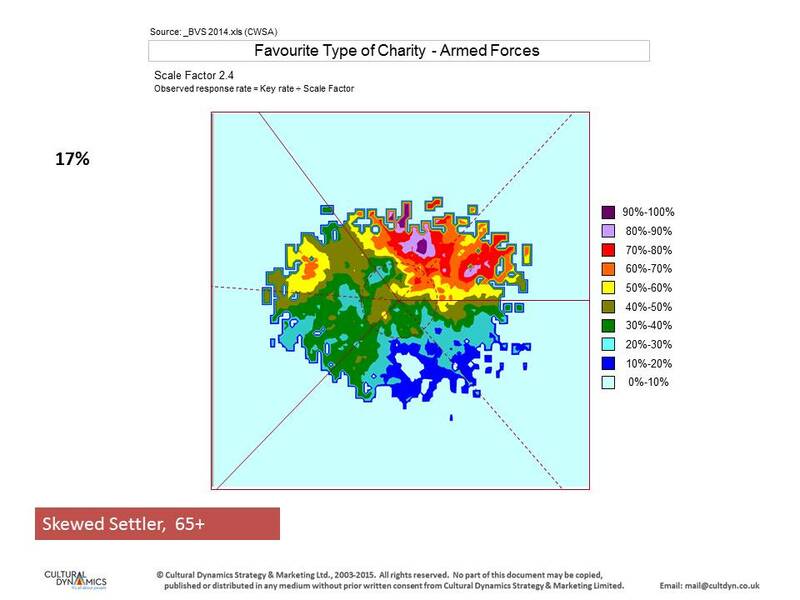 Settler skewed charities tend to be focused on straightforward survival-assistance and security (eg ex Armed Services) and Prospector skewed charities on enabling success (eg Health, Education). Simple stuff really. (See slides above). 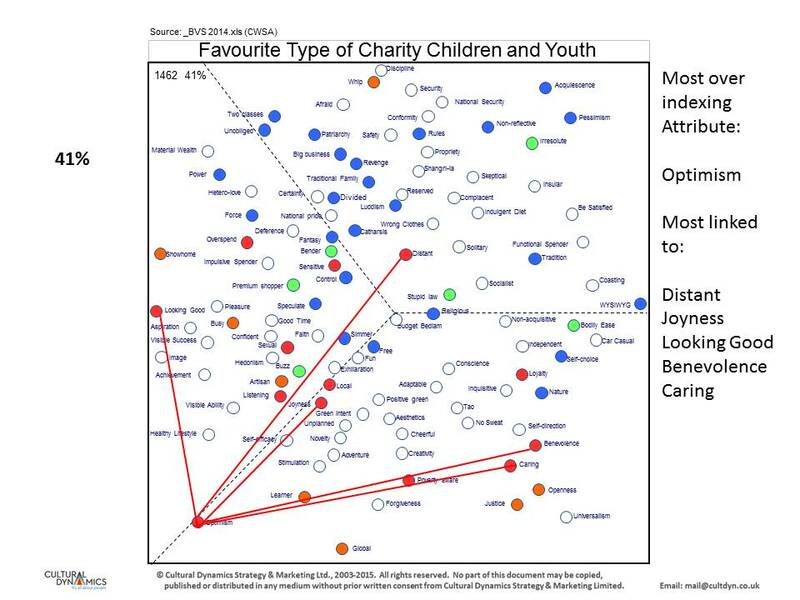 It is very likely that support for individual brand charities within these broad types generally reflect these values differences in most cases, although there may be narrower or wider skews to one or another Maslow Group within a set of charities in a sector, depending on how they go about their business, as that will exert a values-filtering effect. Although there will be cultural inter-country differences these will probably be mainly nuances on this picture as the motivational values are universally applicable. 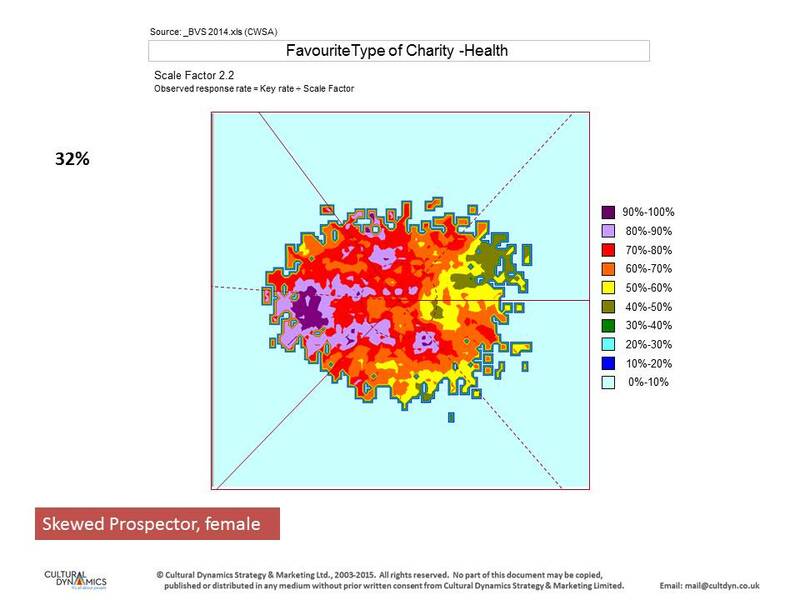 The slides give examples of how the Attribute maps (details of the values survey results) can be used to create specific values-resonant propositions, eg in copy writing. 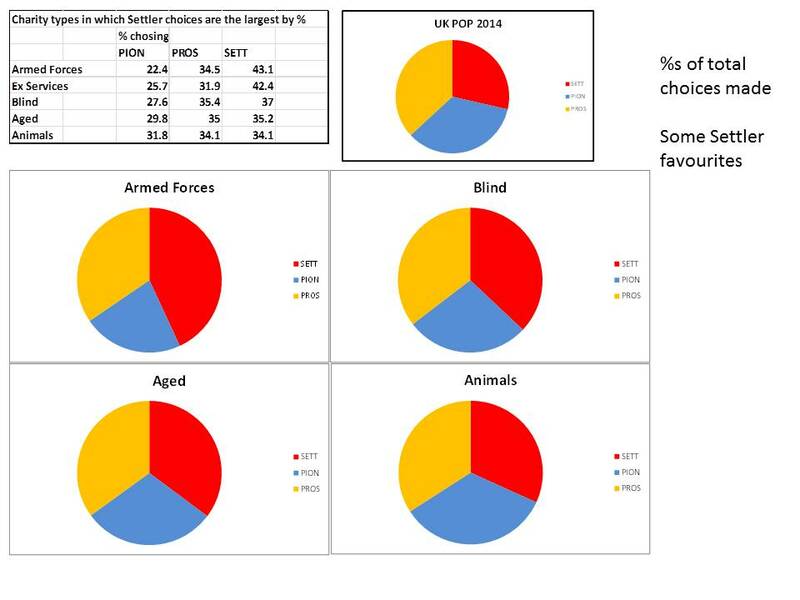 Thanks to CDSM for permission to share these data.